As noted in far too many discussions to list (but here’s a taste), several thousand archive pages had broken links — as they were linking to documents in a retired SCN repository. This issue has been resolved, and these links now work. Please note, however, that a smaller portion of the links remain broken for an unrelated reason: They link to expired content on SAP.com (not to documents within the retired repository). We are looking into a solution for this newly discovered problem. Last month, we rolled out a new feature showing how many new notifications you received since you last accessed this list. This new feature introduced a new problem, however: You could no longer see how many notifications were unread — an issue raised in discussions such as Bug (? ): “Notification-Counter” vanishes, but there are still unread ones! and Bug? Notification counter is not displayed. We recognized this problem in our February 16 release highlights, and explained that we would add a message tracking unread notifications. And that’s exactly what we did with this release. As detailed in a recent Coffee Corner update, the “more” button is gone completely from the Content and Network lists of the user profile — replaced with pagination. This new feature makes jumping through a user’s blogs, questions, followers, etc., much easier — especially when trying to find information from some of our more prolific, popular members. A bug with the Social Activities option in the Activity Type filter in Followed Activities has been fixed to show correct activities. 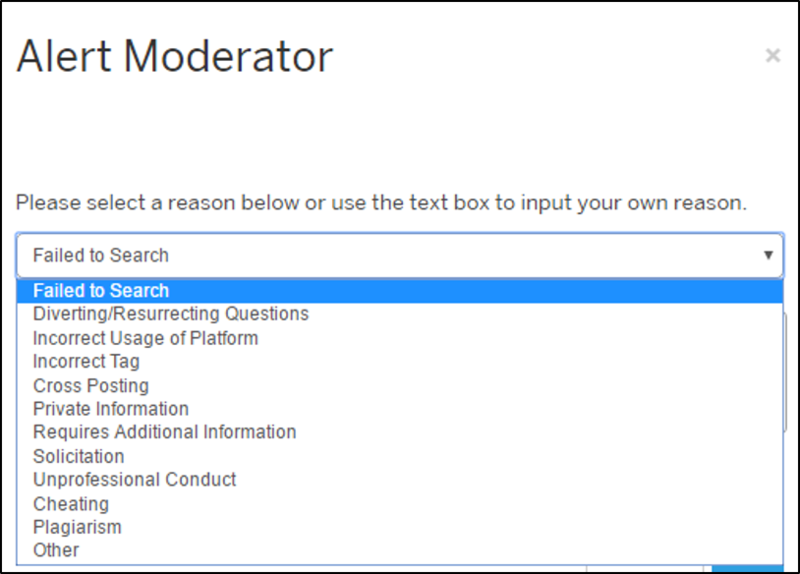 Speaking of filters, in both the Blogs and Questions & Answers sections, the option to sort content by Followed Tags has been moved up above the option for sorting by Archives — as users are more likely to look for content that interests them before they sift through older material. An issue with the social-sharing buttons in blogs — in which the Like button was not loading properly — has been fixed. One last piece of news (well…a reminder, really) that should be of particular interest to all of you gamification fans: In November, we published a blog post announcing that the new mission set — while ready to roll out — was put on hold so we could focus on priority fixes and features. That still remains true. We haven’t forgotten about missions and badges, and they’re still ready to go, but we want to continue to concentrate efforts on core functionality. The release notes — such as those highlighted here — show how these efforts are paying off, with improvements coming roughly every two weeks. So if you’ve missed previous updates, check out the list below. I’m told end of March. It’s currently going through final phases of testing. I provide a few more details in my comments here: https://ideas.sap.com/D37929. I went on record promising “end of March” delivery there too. So if that happens…well, I guess I’ll hear about it in a couple places. Thank you, Jerry, for keeping the community informed. 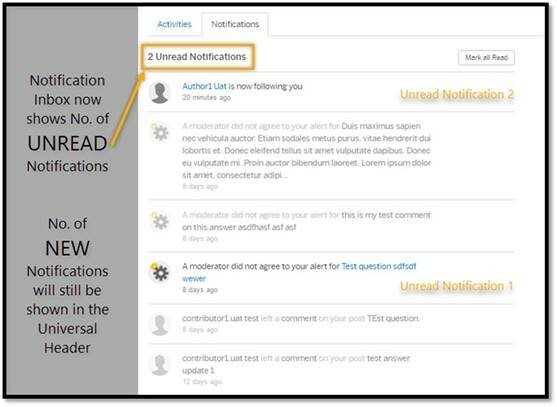 There is one item, mentioned in SAP Community Release Notes, which is not very clear: (Answers) Several minor fixes for new question details view (SOC-4911). What does it include exactly? I think it might be minor cosmetic and/or behind-the-scenes stuff. I’ll see if I can’t get some further details here for you. Hmm…I never really noticed. I don’t remember how it used to look. Person’s name answered flows much better, in my opinion. So putting the badges beneath doesn’t bother me. It’s not an issue with comments because there isn’t a verb. Putting the badges next to the user’s name (which is where they appear in blogs too) makes sense. As for the badge placement beneath the poster’s name and profile pic, I personally think it looks best centered (along with everything else in that spot). It’s all really a matter of taste though. If enough people hated the layout, then that would be something to consider. But, honestly, none of that really occurred to me until you pointed it out. Regardless, I’m passing along to the Q&A team for UI consideration. Thank you Jerry and Veselina. I will raise this feedback with our UX experts. Today I visited SAP Community again after a long time. Hopefully me and many others will feel familiar with the new site in the future and come back using it. Or one of my other me. Welcome back, Mark. I hope you’ll keep returning — using whatever ID you prefer. Better notification options are coming…so I hope you’ll be better informed moving forward. Thx for the update, great to see those archive links and older documents are accessible again. I had a customer asking about it after they couldn’t access relevant documentation / information on a specific topic. Glad this is solved! Keep up the spirit and progress further. The community at it’s heart lives in the people, it’s digital footprint helps to enable all of us to share and learn. I’m glad that the fixes have been helpful, Tom. Sorry that we didn’t deliver them sooner for the broken links. “Keep up the spirit and progress further.” That’s the plan! “The community at it’s heart lives in the people.” We agree completely, and we want to make sure we keep delivering improvements that help members such as you share and learn. Happy to let everyone here know that Email Notifications are LIVE. You can learn more about this service here.